As many of you know, I don't know how to sew. 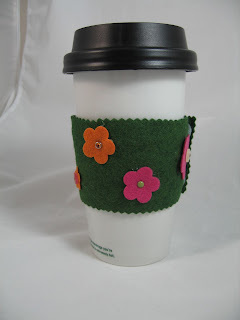 But, I have seen some beautiful items on the internet that require a bit of sewing. :( Now, I can sew on a button, and darn a sock. But, that, my friend, is the extent of my sewing ability. I wanted to make Patricia a special gift. We are both in the same Bunco group, and at Christmas time we draw names, and do a gift exchange. This year, I drew Patricia's name. 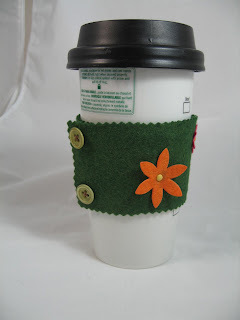 I had seen these coffee cuffs on the internet and I really wanted to make one. But, I don't own a sewing machine. I don't sew! And I didn't have to! Stampin' Up! makes this adhesive sheet, that you use with material, so you don't have to sew! How wonderful is that? The coffee cuff uses Velcro to hold the cuff together. I used felted wool, my favorite! I attached the flowers on with brads, and did a few quick stitches to sew the buttons on. I used the adhesive sheet to hold the two layers of felted wool together (so you don't see the brads or stitches on the other side). And, the cup is porcelain, so it is re-usable! I also put a Starbucks gift card inside. Merry Christmas Patricia! Thanks for visiting my blog today. I just browsed your designs and they are so pretty! 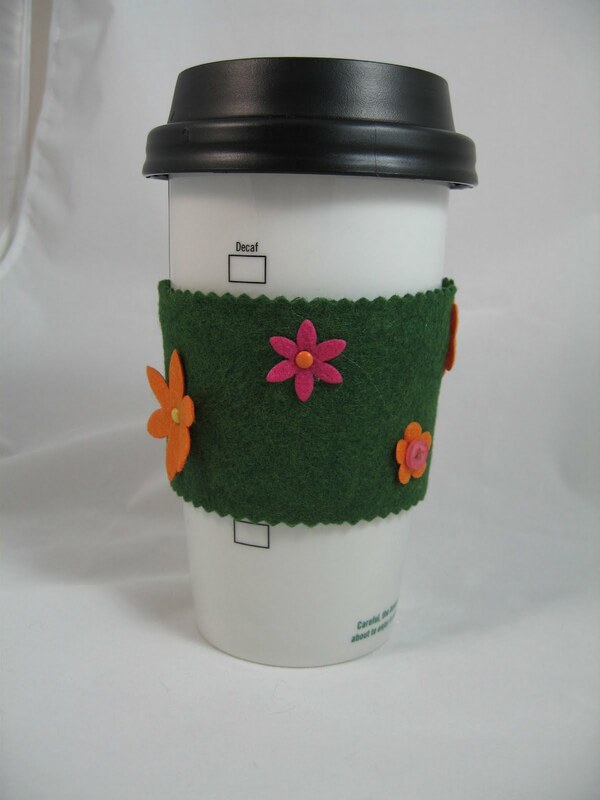 I really like this coffee sleeve you made. I also can sew worth anything so this looks like something I could actually make using real fabric! Thanks for the inspiration!